If you’re planning to buy a new home this spring, you might be thinking it’s too early to start your search and begin the financing process. But with just a few months to go until the cold weather thaws in the Chattanooga area, it’s time to lay the groundwork for your new dream home. Most banks and online real estate sites have affordability and mortgage calculators that can help you figure out what you can afford. Work out your own price range based on what the calculators say. Do those monthly payments look reasonable or like a stretch? Do you expect your monthly expenses to rise, maybe because of a planned car purchase? How long do you expect to stay in this house? Is it worth a bit of a stretch because you plan to stay more than five to seven years? Or would you be more comfortable keeping payments at a lower level? To determine how much you’ll have for a down payment, assess what you have in hand and what you can realistically save between now and spring. Don’t forget there will be closing costs. Down payment calculators will show how much you need for each down payment percentage required for different types of mortgage. Start to figure out which community would suit you in the ways most important to you, whether it’s schools, ease of commute, housing density, amenities or other factors. Then determine which factors are most important and which are more open to compromise. Check out online real estate listings to find out more about what’s likely to be on the market and to help you focus on the areas that meet your needs. Keep tabs online on some listings that interest you – see how quickly they sell, whether they undergo price changes as they stay on the market, and what they ultimately sell for. Also, go to open houses. By looking at houses before you’re actively shopping, you’ll learn how to look effectively. You’ll get better at seeing the details, noticing the important factors, and getting past a first impression to what will really matter. Check your credit report in order to know it and to see if there’s anything you want to dispute. You can order free credit reports from each of the three major credit reporting agencies through www.annualcreditreport.com, the only authorized website for free credit reports, according to the U.S. Federal Trade Commission. Your credit score will be key to the mortgage interest rate you’ll obtain. l Pay bills on time. Payment history is a top factor for lenders. l Pay down credit card debt as much as you can while still saving for your down payment. l Avoid applying for new credit cards or closing old ones. Both can decrease your credit score. First, check out mortgage rates at various lenders. You’re not ready to apply for a mortgage yet, so you won’t get specific quotes. But many lenders post approximate rates online, and you can browse them regularly to learn the lay of the land. A month or so before you’d like to buy, start shopping for a mortgage. 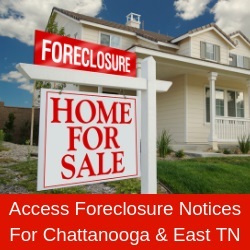 Ask for quotes on rates and closing fees from several lenders. Once you identify the mortgage company, get a pre-approval letter from the lender. With that in hand, you’ll be able to show that you’re a good prospect as a buyer. To find a real estate or mortgage professional or a custom home builder, visit the Home Builders Association of Greater Chattanooga at www.HBAGC.net.